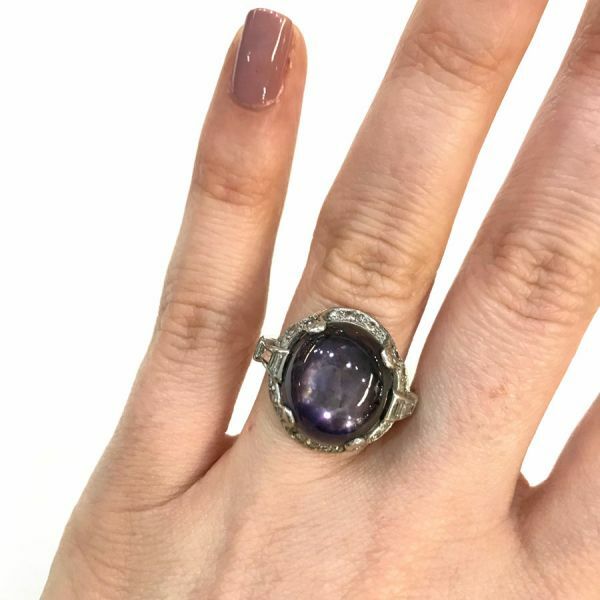 A stunning Art Deco platinum mill grain ring with 1 oval cabochon deep purple-mauve 6 rayed star sapphire, est. 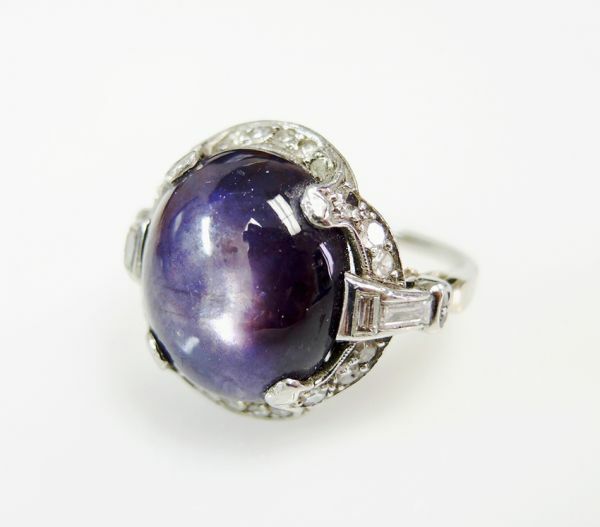 13.95ct; 4 straight baguette diamonds, est. 0.27ct (clarity:VS-SI & G-H colour) and 26 single cut diamonds, est. 0.36ct (clarity:VS-SI & H-I colour).